Packing lunches has been an interesting challenge. I enjoy figuring out new and creative ways to make a healthy, quick, tasty lunch that doesn’t require refrigeration or heating. 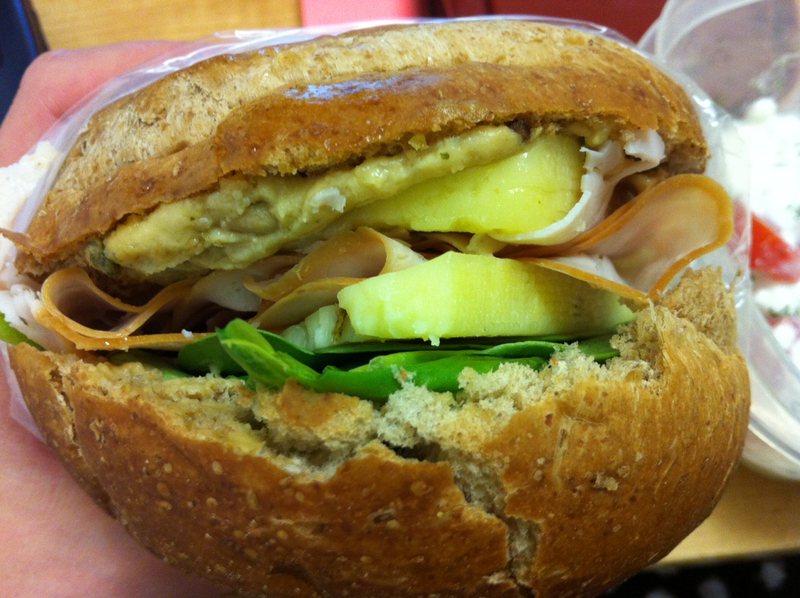 This week I took sandwiches for lunch. An easy standby, sandwiches can have a lot of variety. I try to get in as many veggies as possible, but eating a salad at my desk at work just seems messy. 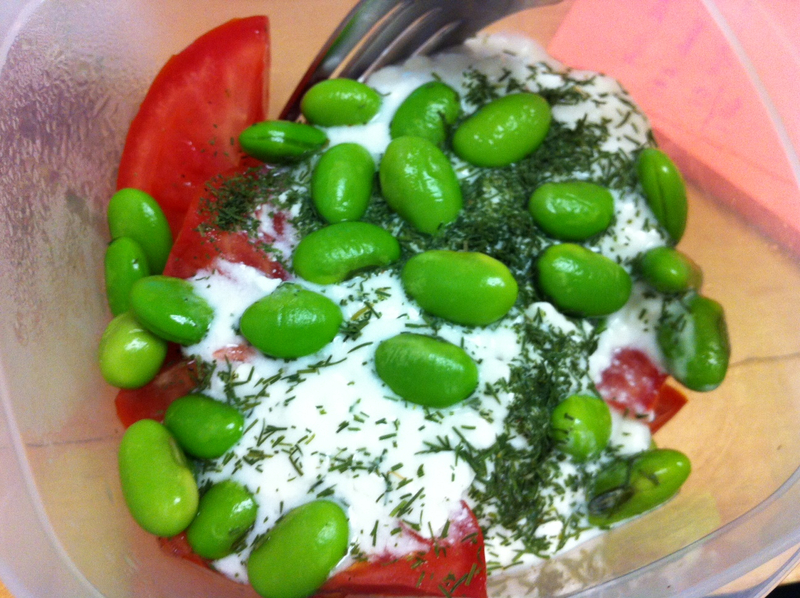 So this week I’ve packed a sliced tomato topped with cottage cheese and edamame: a delicious side salad. I also like to take along a piece of fruit as my dessert. 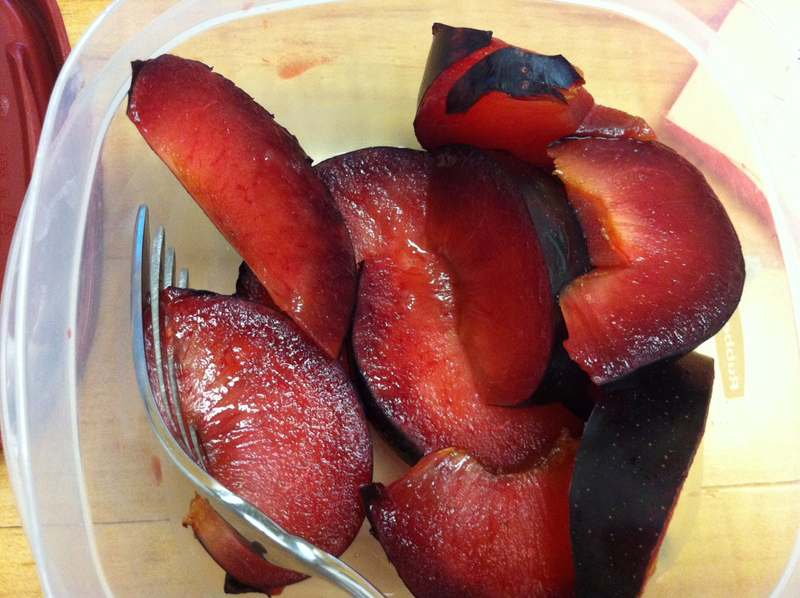 Recently plums and peaches have made an appearance.